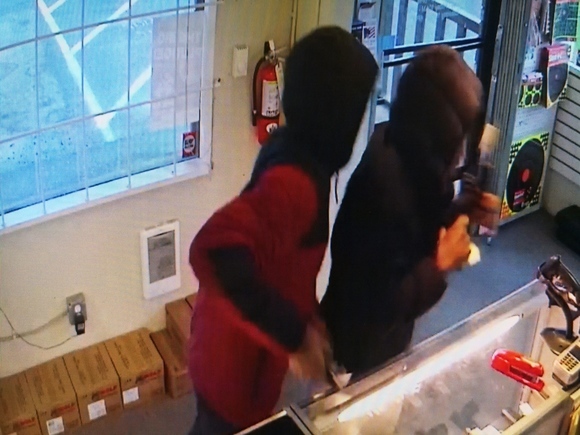 LYNNWOOD, WA (January 7, 2019) - Yesterday, on January 6, at about 3:30 PM, two male suspects walked into Lynnwood Gun located in the 20800 block of Hwy 99. While store employees were assisting other customers, both suspects reached behind a display counter and grabbed several handguns and immediately fled on foot. A store employee gave chase on foot. The store employee eventually located the two suspects and confronted them. The suspects dropped three stolen handguns but continued to flee on foot. Responding officers, to include officers from the Edmonds Police Department, surrounded the area. An Everett Police K9 was summoned to the scene to help search for the two suspects. A passerby in the area notified police of two suspicious subjects hiding near a dumpster at a nearby business. Officers located both suspects hiding by the dumpster trying to change their clothing. Both were taken into custody without further incident; both were positively identified as the suspects who stole the handguns from the store by witnesses. Investigation at the scene revealed a total of three handguns were stolen by the suspects and all three firearms were recovered. Investigation revealed the suspects were both 16-year-old juveniles. Both juveniles were arrested on multiple firearm-related crimes to include Theft of a Firearm, Possession of a Stolen Firearm, and Unlawful Possession of a Stolen Firearm.Both juveniles had extensive criminal history to include Assault 2, Unlawful Possession of a Firearm, and Robbery. Two other subjects associated with the two theft suspects were also detained near the scene but were released pending further investigation. 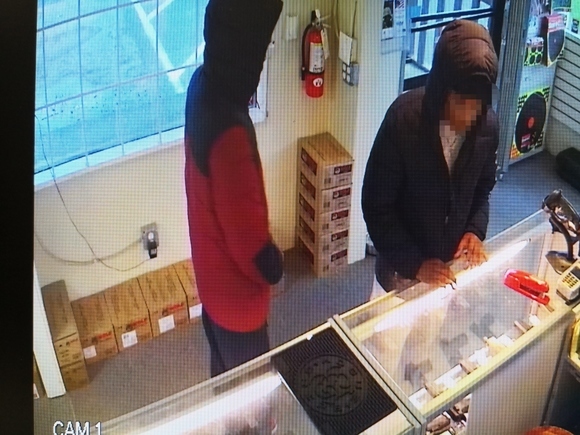 Two Suspects at Lynnwood Gun. 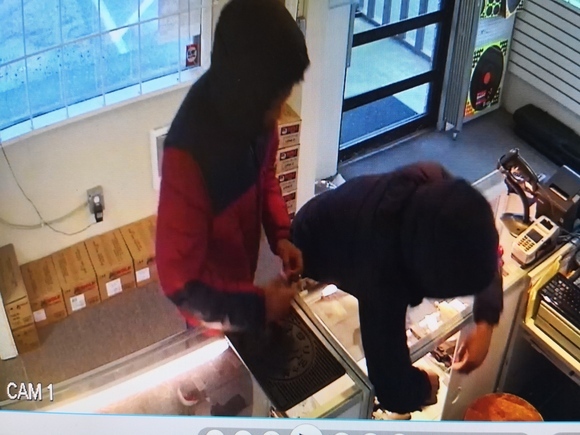 Two suspects reaching into display case. Two suspects flee store with stolen firearms.